This powerful six week process is a low cost alternative to individual Money Coaching Sessions. A Money Coaching Circle is a dynamic way to help uncover, examine and transform unconscious patterns and beliefs about money. We benefit from hearing other’s stories while the work we do as a group remains confidential and judgement-free. As part of the circle, you will be able to take a look at your relationship with money and move beyond limiting behaviors that keep you from realizing your goals and dreams, both financially and professionally. This powerful six week process is a low cost alternative to individual Money Coaching Sessions. 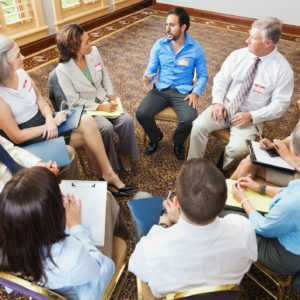 Circles typically consist of 4 – 6 people and are held weekly for 2 hours.